Hettie Mae Boggs is a homeless woman that Bart met after getting her cart beneath the lake. She lived in Bart and Lisa's closets. She is an incredible folk singer, and Lisa offers to plan a concert for her, she runs away to Cletus's Farm. 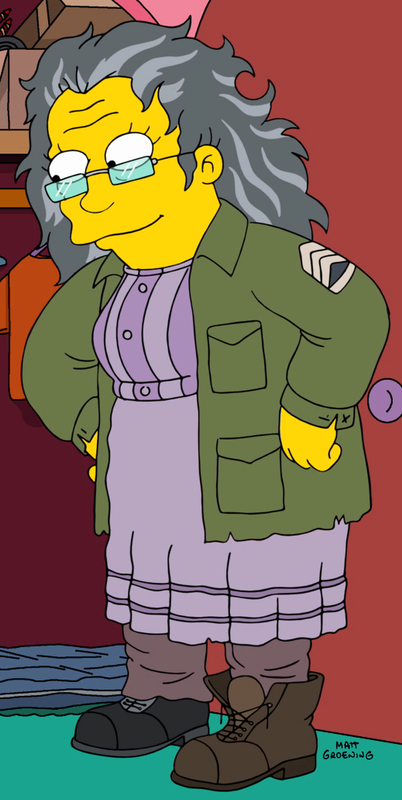 Once the Simpsons convinces her to come to the concert, everyone left and she sings for Lisa and a cleaner guy. She's offered to sleep on the couch by Lisa after the song ends. Modified on February 23, 2016, at 08:33.